Another disappearing block! 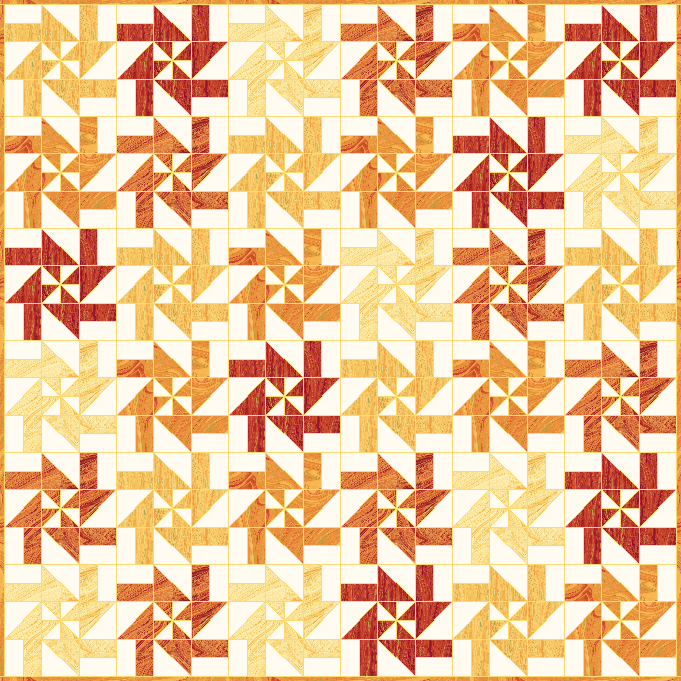 If you saw last weeks disappearing block you would now that they are highly popular thanks to Missouri Star Quilt Company. 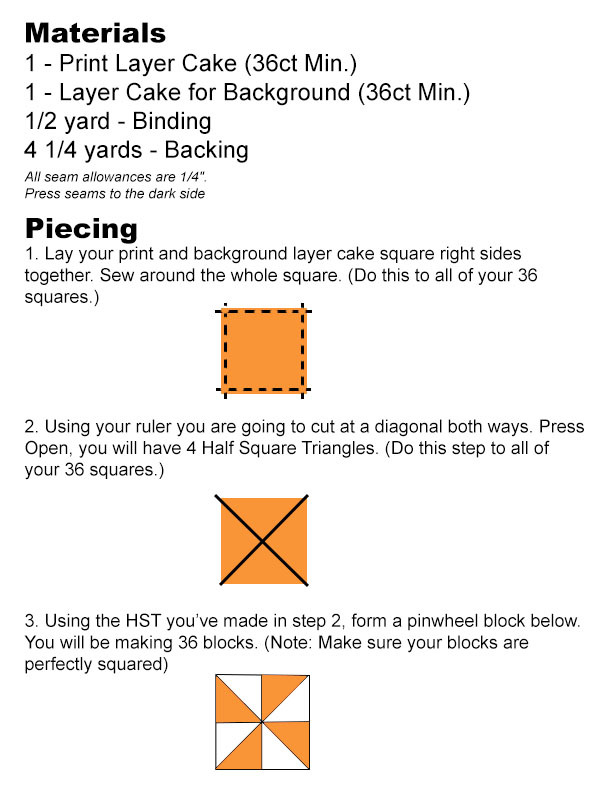 Here is another disappearing pinwheel method using layer cakes that forms a burst of beauty! 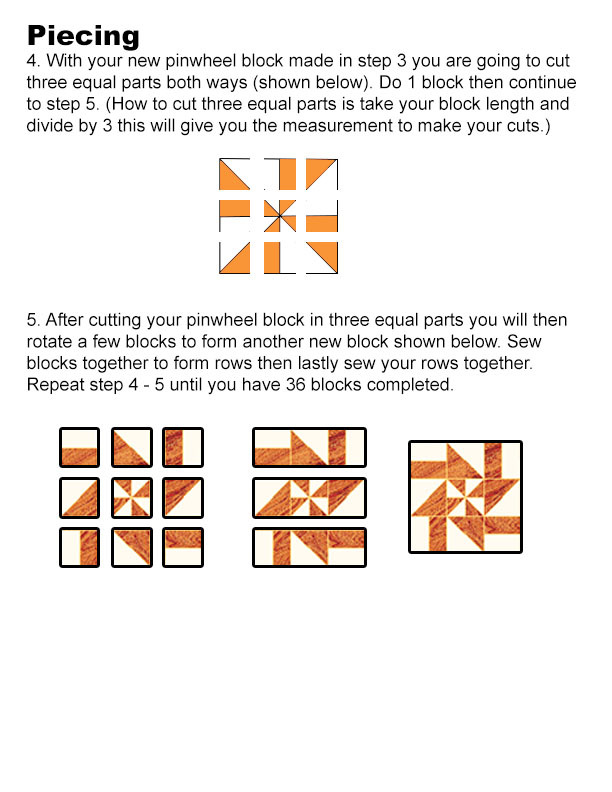 Like I also mentioned lasted week is if you are not familiar with disappearing blocks, it is a method that is fast, easy and will give you a quilt that looks like you spent much time on piecing. Finished Size is about 67" x 67". 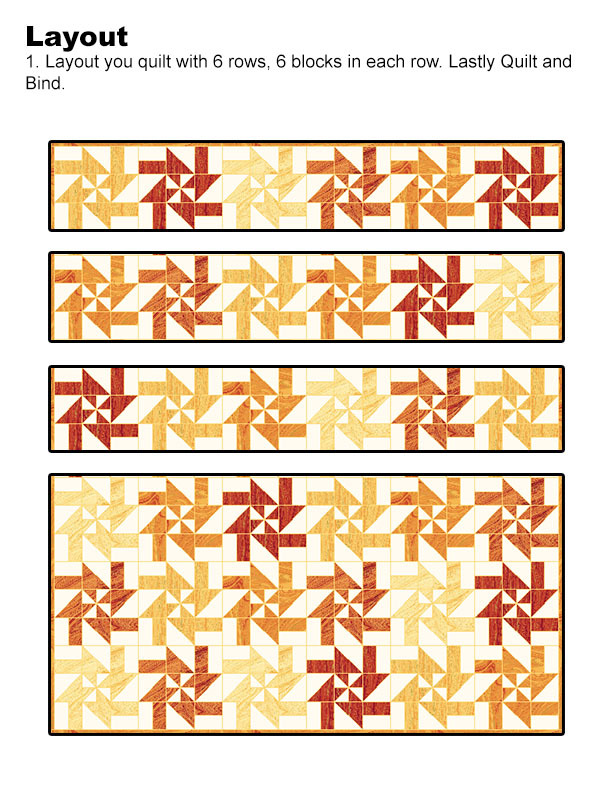 Also this pattern has been featured on FaveQuilts! Yardage option for buying Sunglow Sandscapes are you will need 5 - 2/3 yards in orange Shades cut into 10" by WOF strips (2 per each color), subcut into 10" squares which will give you 8 - 10" squares per color leaving you with 40 - 10" squares total. Although I have made each patch in this block, I have never seen this. Beautiful! Thank-you!